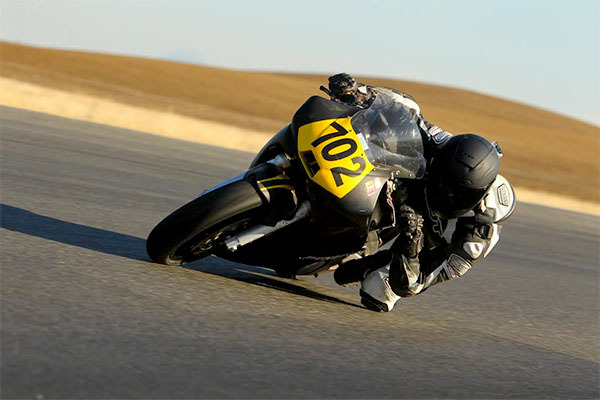 Earlier in my track riding career I had this question posed to me by one of my track instructors and friends – but we were nowhere near a track. In fact, all I had done that day was commute to work. “Surviving?” was my tentative reply. I didn’t have a response. All I had done was get to work (alive and in one piece). “Working” on something hadn’t even been a consideration. From there, our conversation took a turn. He went on to describe how each and every time I swing a leg over, I’m teaching myself something – be it good or bad. The instructions were simple – EVERY time I’m getting on a bike, I should have something in mind that I’m working on. The topic can vary, but the principle is the same – work on improving your skills in some way whenever you’re on a bike, even if you’re only going a few blocks. I started implementing his advice the next day and have continued to do so each day I’ve ridden (which is almost daily). There were a few things I noticed doing this. 1) I spent YEARS teaching myself bad habits – not on purpose, but by repeatedly doing the same thing over and over. I wasn’t consciously “working” on those things, but the reality of the situation was that I WAS teaching myself. 2) I started to notice all the little ways I would mess up, do something slightly wrong, areas I needed to improve on – basically dissecting my riding and finding all the flaws. 3) There is always something that needs work and can be improved upon. I’ve passed this advice on to newer riders who I’ve worked with, hoping to help save them from the pain of having to break years of bad habits like I’ve had to. The feedback is consistent: it’s not something they thought about, and wow, it can make a huge difference in their approach. Topics that regularly make it on my list include braking skills, throttle control, visual exercises, how I’m navigating a corner and body positioning. None of these require ridiculous speeds or skills of a certain level. They can be more refined for an advanced rider, or very basic for a new rider, but the principle is the same. Every time you get on a bike, you should have something you are working on.